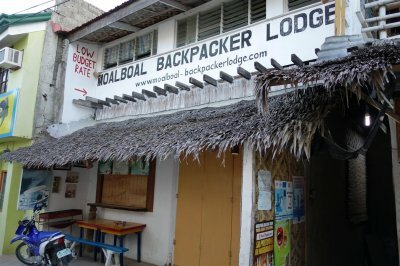 Moalboal Hotels and Resorts | MoalboalGuide.com - your guide to amazing Moalboal, Cebu, Philippines! 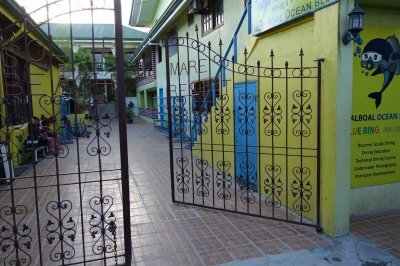 Moalboal has very affordable accomodation. If you are willing to stay a little off the beaten path, you can find hotel rooms for as little as 500P. My favorite place to stay is Quo Vadis where the beautiful cottages are 1100P and you can snorkel right off their pier! Marcosas is one of the nicer places in Moalboal. Although not a budget-friendly resort, the prices are reasonable for what you get: nicely landscaped surroundings, a great pool and friendly staff. Highly recommended! 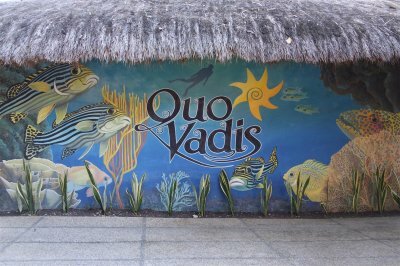 Quo Vadis is one of my favorite places to stay in Moalboal. It has a great location and the rooms are simple, clean and affordable. They have a great restaurant, pool and you snorkel right off their pier! Tipolo is a relatively new resort located on the same property as Planet Action Adventure and The Last Filling Station restaurant. 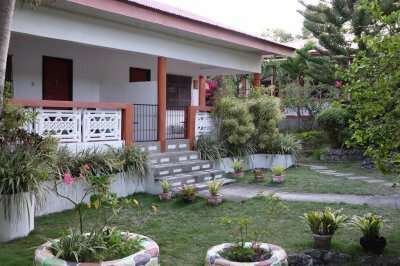 It is beautifully landscaped, peaceful place to stay with great food nearby, solid wifi connection and reasonable rates. 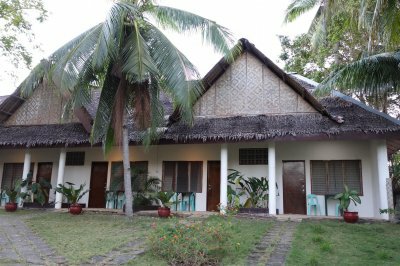 Cabana Beach Resort is a small luxury resort located right in the heart of Panagsama Beach. 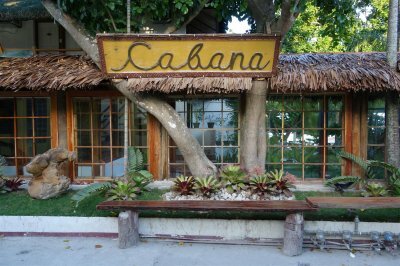 With a peaceful and private garden setting, their own small private beach and a great location, you can't go wrong at Cabana! 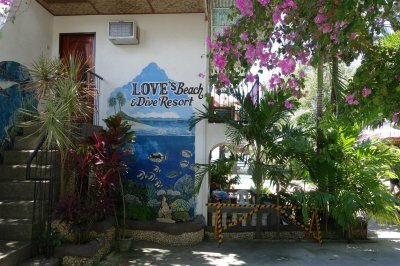 Love's is a well-known and popular in place to stay in Moalboal. They have fair prices and nice rooms. You can tell they take pride in creating a tranquil, relaxing atmosphere for their guests. You can't go wrong staying at Love's. 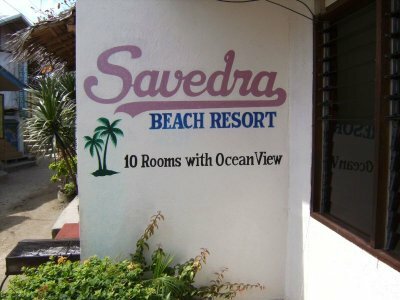 Savedra Beach Resort has 10 seaside rooms with Aircon, Hot/Cold shower and refrigerator for 1840P. 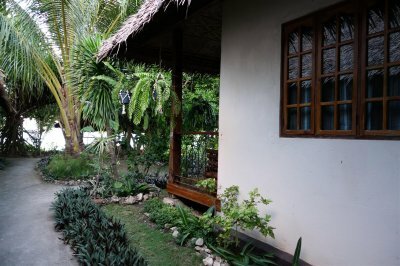 Pacitas has about 25 nice, simple cottages with prices ranging from 700P to 1500P. Located on the south end of Panagsama, you walk through Pacitas to get to places further south (like Love's). WIFI available. This is a restaurant/bar but they have a few cottages as well. The cottages are nice and only steps away from the restaurant. 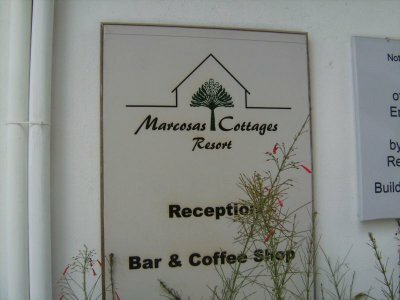 Sole E Mare Beach Resort is located right in the main section of Panagsama Beach. The rooms are very nice and clean. Located directly across from Cabana Beach Resort (same owners). 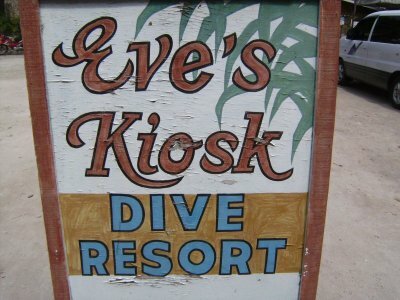 Eve's Kiosk has room options to fit any budget. Simple fan rooms are as low as 500P. Eve's is located right in the main section of Panagsama... you can't miss it. 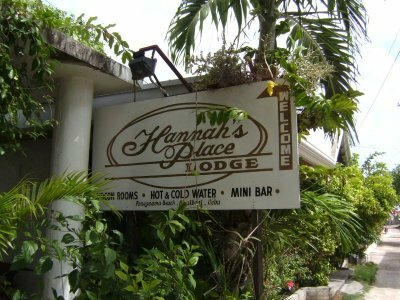 Hannah's Place is one of the more expensive places in Panagsama, Moalboal... but also one of the nicest. Don't forget to check out their restaurant too. 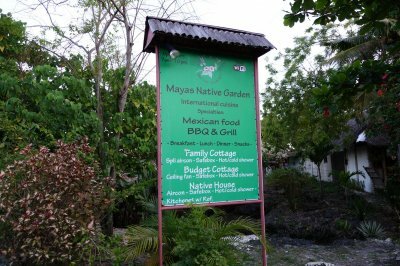 Nidos Garden is another good budget-friendly option in Moalboal. There are 6 clean rooms with a refrigerator and coffee maker included. Access to the sparkling Quo Vadis pool is included! 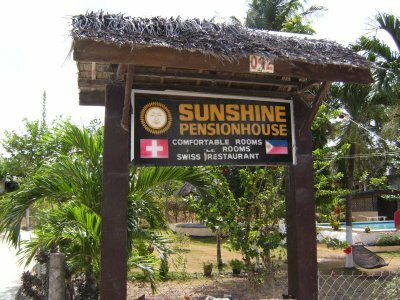 Sunshine Pension House is a great budget option in Moalboal. For 750P you get a simple, clean cottage and access to their pool. A newly constructed budget hotel near Love's. Rooms available for as little as P700. Has wifi plus a restaurant/bar. Simple furnished studio apartment/cottages a little off the beaten path. Includes kitchen, aircon and TV. 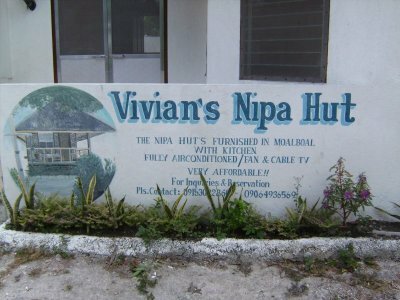 The only real hostel in Panagsama Beach. 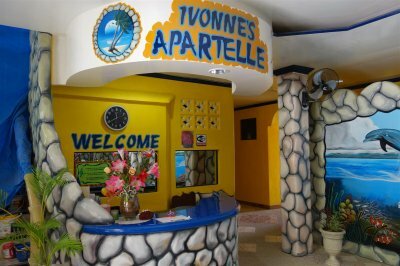 If you are on a budget, this is the place to stay! A bed can be had here for as little as P250. 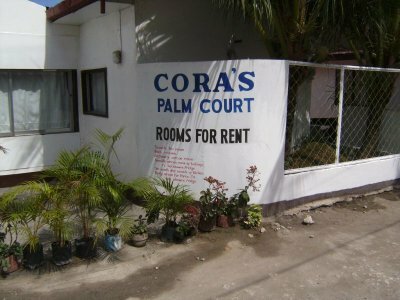 Cora's Palm Court is a budget-friendly hotel with simple rooms worth checking out. Rooms are 800P or less and some have a refrigerator and ocean view! 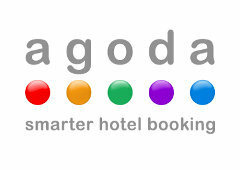 Agoda has many additional hotels and resorts in Moalboal and the surrounding area of Cebu. 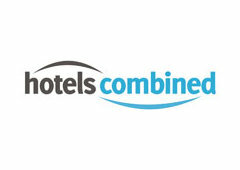 HotelsCombined.com has many great hotels and resorts in Moalboal and the surrounding area of Cebu as well as many other Philippine destinations.